March 22, 2013, 1:13 p.m.
Goodbye The Local East Village — hello Bedford + Bowery. By Adrienne LaFrance @adriennelaf March 22, 2013, 1:13 p.m.
NEW YORK — New York University’s hyperlocal East Village blog has found a new home and a new name. After a two-and-a-half-year partnership with The New York Times, the newspaper is shutting down The Local: East Village and NYU is launching a similar collaboration with New York magazine. Coming later this spring: Bedford + Bowery, a blog that will expand its focus to include the East Village, the Lower East Side, and neighborhoods of Brooklyn (Williamsburg, Greenpoint, and Bushwick). It was the students who pushed for an expansion to Brooklyn, where many of them live, NYU’s Local East Village editor Daniel Maurer told me. (Maurer has a history with New York, where he co-founded its Grub Street blog before joining NYU.) “They made a convincing argument that these neighborhoods represent a community of interest — a shared set of characteristics and concerns,” Maurer wrote in an email. But at a time when “hyperlocal” is a buzzword that’s lost some of its buzz — you don’t see this kind of headline as often anymore — the decision to broaden coverage may also be a way to tweak the model. “We’ll still be covering street-level stories that wouldn’t be reported otherwise but, in the New York magazine tradition, we’ll also be taking more of a big-picture look at trends and tectonic shifts across all of these neighborhoods and beyond — something I think students who are concentrating in magazine writing will appreciate,” Maurer wrote. Maurer also notes that the policy of paying students for their contributions — full-time interns and those “who produce significant enterprise” — will continue. From New York magazine’s perspective, the collaboration offers a chance to dive back into block-by-block level local coverage. “Our website has become a little bit more national in the past couple of years,” said Ben Williams, editorial director of nymag.com. The contract between NYU and New York magazine does not have a set term, and the magazine is committed to experimenting with the school for at least a year, he told me. There’s also the possibility that Bedford + Bowery will serve the function of an in-house source of granular news nuggets — the kinds of hidden news gems that bigger publications have long mined small-town papers or individual blogs for — that have the potential of becoming bigger stories. In other words, the value of a hyperlocal approach isn’t on the revenue side but on the editorial side: “A feeder is a good way to look at it, definitely,” Williams said. So what does all of this tell us about The New York Times’ priorities? (I caught up with Jim Schachter, then an associate managing editor for the Times, last summer when Capital New York reported the Times’ plans to shutter The Local: East Village.) In short, not a whole lot that we didn’t already know. As Schachter put it last year, The Local was a way for the Times to explore how to “prompt communities into the act of covering themselves in a meaningful way,” a worthy goal that ultimately wasn’t practical to keep pursuing. And while working with The New York Times was a great opportunity for students, it wasn’t always ideal for them to have to operate within the framework of such a huge organization. Image courtesy the Arthur L. Carter Journalism Institute. POSTED March 22, 2013, 1:13 p.m.
LaFrance, Adrienne. "Changing trains: The Local East Village, NYU’s hyperlocal blog, moves from The New York Times to New York magazine." Nieman Journalism Lab. Nieman Foundation for Journalism at Harvard, 22 Mar. 2013. Web. 19 Apr. 2019. LaFrance, Adrienne. "Changing trains: The Local East Village, NYU’s hyperlocal blog, moves from The New York Times to New York magazine." Nieman Journalism Lab. Last modified March 22, 2013. 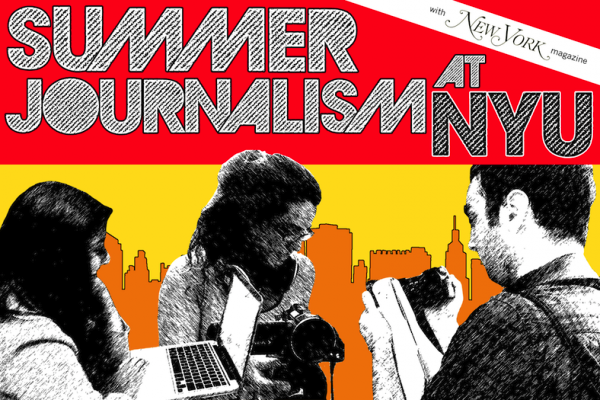 Accessed April 19, 2019. https://www.niemanlab.org/2013/03/changing-trains-the-local-east-village-nyus-hyperlocal-blog-moves-from-the-new-york-times-to-new-york-magazine/.